I-1634 was passing with support across much of the state, except in King County. It will not reverse Seattle's 1.75-cents-per-ounce sweetened beverage tax, but prevents further increases and stops other cities from following suit. The soda industry’s $20 million campaign to block Washington cities from enacting new food and beverage taxes appeared to be paying off as Initiative 1634 was leading by nearly 10 percentage points as first-day returns rolled in Tuesday night. By contrast, a similar soda-industry-backed measure to ban local grocery taxes in Oregon was trailing by 16 percentage points. I-1634 would not reverse Seattle’s 1.75-cents-per-ounce sweetened-beverage tax, but it would prevent further increases and stop other cities from following suit. In Tuesday’s results, voters in King County were opposing I-1634 by more than a 10-point margin, and it was failing in Jefferson and San Juan counties. But it was approved by large margins throughout the rest of the state. Shortly after Seattle’s tax took effect at the beginning of the year, the beverage industry began the I-1634 effort. The Coca-Cola Co. donated $9.7 million, PepsiCo added $7.3 million and other soda manufacturers donated nearly $3.3 million to the campaign, which was also supported by grocers groups, agricultural organizations and organized labor. It was among the best-funded initiative campaigns in Washington history. Some voters reported confusion about the Washington initiative. 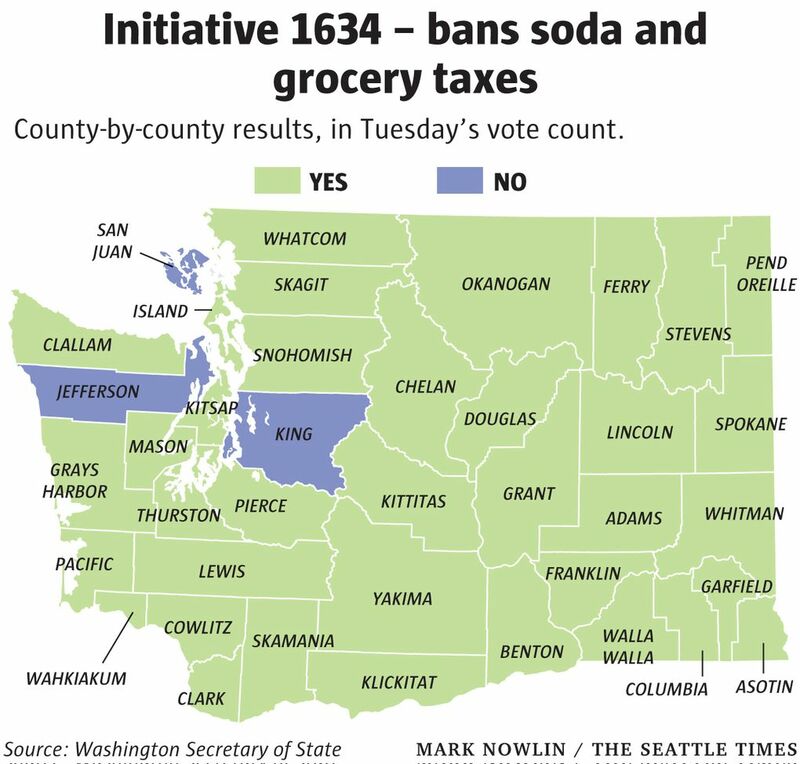 A yes vote on I-1634 was actually a vote against new taxes on beverages, food or ingredients, while a no vote was to maintain the status quo allowing such taxes. State law already bans local sales taxes on food and beverage items — with exceptions for prepared foods, alcohol and other items. But cities could still tax food and beverages through other means, such as Seattle’s excise tax. The Yes to 1634 campaign’s ubiquitous television advertisements made little or no mention of sweetened beverages, instead focusing on grocery taxes — despite no sign of such taxes being proposed. Still, grocers supported the initiative because they wanted to foreclose the possibility of new taxes on their thin-margin businesses. “This is a victory for all Washingtonians who came forward to put a stop to regressive taxes that place a larger share of the burden on residents least capable of paying it,” the campaign said. 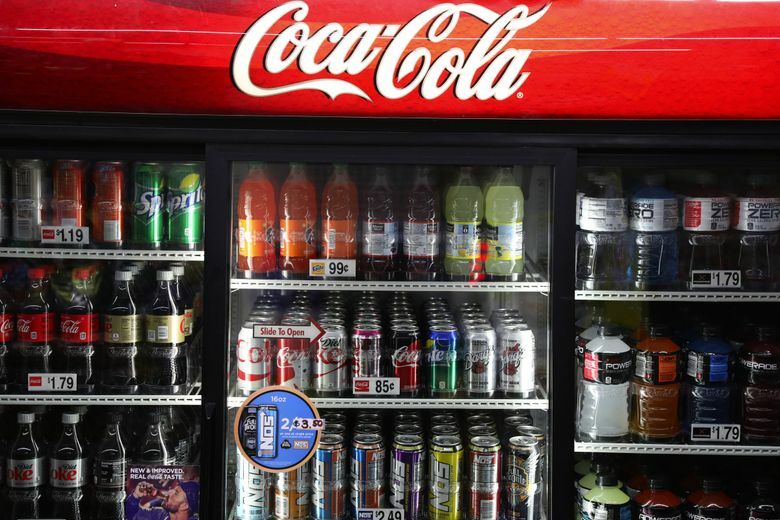 Opponents of the initiative argued that it was a straightforward attempt by the soft-drink industry to protect its profits, disguised as a consumer-protection measure, amid a growing wave of health-focused taxes and regulations designed to limit sugary beverage consumption and fund education and public health initiatives.